According to studies by the Global Harvest Initiative, 70% of fresh water is used for agriculture. This number is predicted to rise to 89% by 2050 if irrigation technology and practices aren't improved. Although agriculture and irrigation are critical to human life and the betterment of the ecosystem, a rise in water used for irrigation means less potable water for the growing population of people worldwide, not to mention water consumed by livestock or used for sanitation purposes. In order to maintain a healthy balance of water usage and to conserve this precious resource, the Irrigation Association began celebrating Smart Irrigation Month during the month of July each year with the goal of "promot[ing] the social, economic and environmental benefits of efficient irrigation technologies, products and services in landscape, turf and agricultural irrigation." 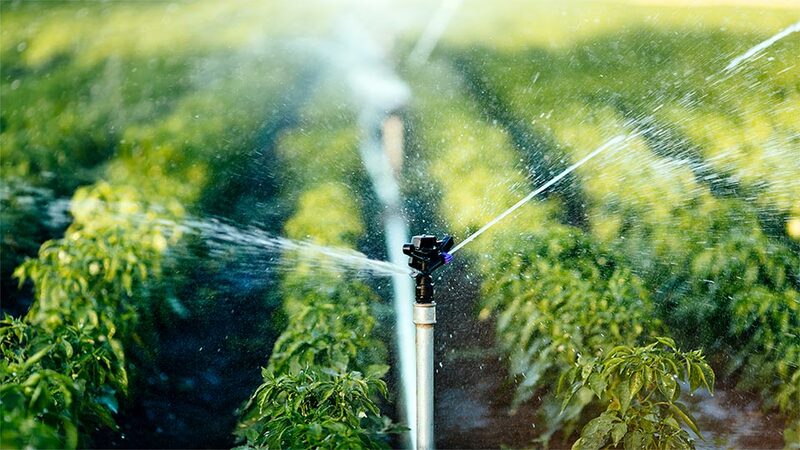 During this month, the Irrigation Association reaches out to agricultural professionals and everyday gardeners in order to encourage the use of smart irrigation technologies and practices during one of the hottest months of the year. They offer tips and tricks for ways to keep your garden and lawn looking its best while saving both money and conserving water. Wine To Water is honored to be working alongside dedicated and passionate people like these in order to conserve water and fight the global water crisis. In order to join the Irrigation Association in their mission and learn more about ways to improve your irrigation practices, make sure to visit Irrigation.org, or contact an Irrigation Association certified professional to design and maintain your sprinkler and irrigation systems at hirecertified.